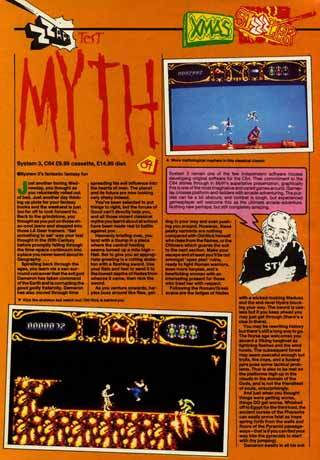 Below are links to the original Zzap article that first got me interested in Myth. The reviewer's enthusiasm and energy describing the game had me hooked before I put the article down. The poster is more familiar, I'm pretty sure the C64 disk box I owned had the same artwork. I can't remember if the box contained a poster, probably not. A lot of C64 games came with a poster that you could BluTac to your wall until they eventually fell down taking chunks of paint with them. 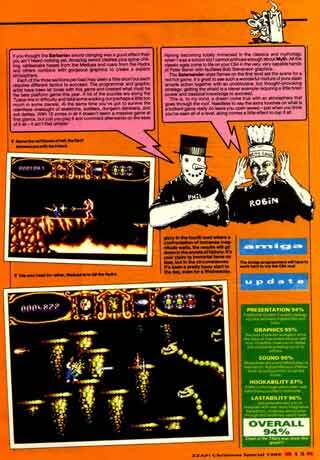 Back of the Box Blurbs (Amiga). AMIGA ACTION - SUPER LEAGUE (96%) "System 3 are most certainly onto a winner with Myth... the graphics are absolutely superb... the sound has to be heard to be believed. 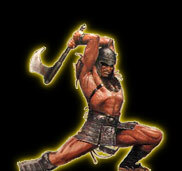 There is so much in Myth it's almost uncomprehendable." THE ONE (93%) "Great graphics, great sound, great gameplay - great Game!... 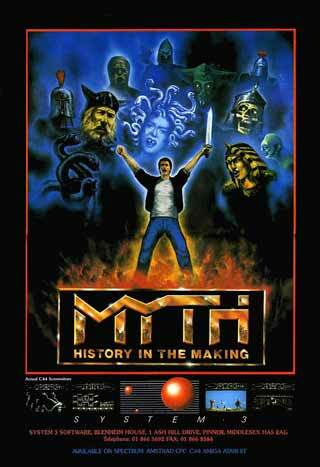 He may have started life on the C64 as a boy, but Myth has made it onto the Amiga and become a man." ZERO - ZERO HERO (91%) "The sound is just scrummy... background graphics are well smart... but best of all is the animation - the movement sequences of the main sprite are beautifully fluid and fast... Art, sheer art." 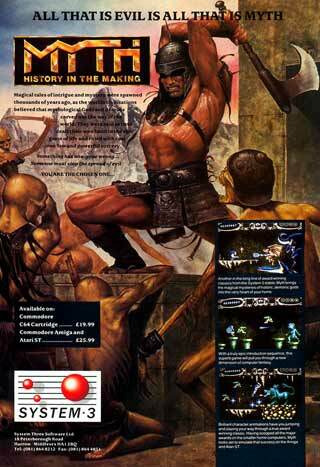 AMIGA COMPUTING - GAMER GOLD (94%) "The best arcade adventure around. For once a game that's worth all the hype that surrounds it. Buy it... you'll be hooked."